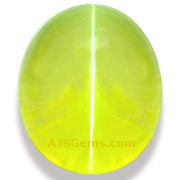 Gem collectors have long known that fine colored gemstones are a good investment. High quality ruby, emerald and sapphire have reliably increased in value over time, and the same has become true for rare spinel, jadeite, garnet, imperial topaz, tourmaline and alexandrite. But more recently the investment potential of gemstones has drawn the attention of the wider financial community. Over the last year a number of stories on the topic have appeared in the popular financial press, including the Economist, the Wall Street Journal and the Financial Times. Why the sudden interest in gems as investments? The answer has to do both with the economic climate and the state of the gemstone market. In times of serious economic uncertainty, investors look to put some of their portfolio in hard assets. A protracted recession and a stagnant stock market saw gold prices skyrocket as central banks desperately printed money to generate economic growth. With currency looking less and less valuable, some of the investment in hard assets has moved into gemstones. 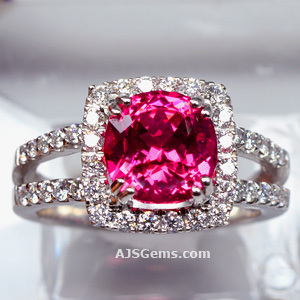 Gemstones are especially attractive because they are compact and highly portable. In a crisis you could carry a million dollars of gemstones in your pocket. While gemstones are seen as a tangible store of value, investors have also noticed that prices on fine gems have been regularily setting new records at auction. The main reason is that the demand for high quality gems has seen strong growth from emerging markets like China, while the supply has been at best constant. So what are the best gems for investment? All fine gems are going up in value, but the rarest gems have performed best, especially Burmese ruby and top blue sapphire. Recently there has been a lot of interest in Mahenge spinel, imperial topaz and tsavorite garnet. We recommend that you buy what you love and buy the best you can afford. Avoid low quality stones which will never be worth anything. Quality and rarity are paramount. 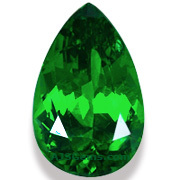 This month we feature new acquisitions, including a fine 5 ct Mozambique ruby and a rare 11 ct Chrysoberyl Cat's Eye. The main African source for fine spessartite is Nigeria, but occasionally excellent material is found in Tanzania. 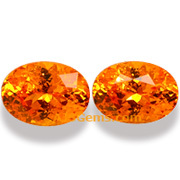 This exceptional matched pair is a pure orange with yellow flashes. Indeed, these gems have such such brilliance that our video shows them as more yellow than they actually are. Very well matched, these wil make a gorgeous pair of earrings. Gem silica with top color and good translucency is rare, and the best material comes from the Inspiration Mine in Arizona. This impressive 9.38 ct trillion displays a vivid and consistent turquoise color with a distinctive glow that is prized by collectors. After a steep fall, gold prices seem to have settled in the $1,350 to $1,400 range, at least for now. A lower and stable gold price is good news for the gem and jewelry trade. With all the excitement over falling gold prices, the collapse in silver prices tended to get overlooked. Silver fell from a high of $45 an ounce in early 2011 to a low of $22 recently, also good news if prices stabilize. Will colored gems become like the diamond business? Colored gems have traditionally been the product of artisanal mining in some of the most remote regions of the world. In a recent article, the Wall Street Journal looked at recent attempts to take a more organized approach to mining colored stones by companies like Gemfields and TanzaniteOne. The goal of these companies is to take control of a large percentage of mines for one or major gems (tanzanite in the case off TanzaniteOne, emerald and ruby in the case of Gemfields), and then introduce modern mechanized mining processes to ensure a more predictable supply, and invest heavily in marketing to increase demand. Long time gem hunters have their doubts that this will work, since so many colored stone deposits are small and in hard to reach places. Sphene, famous for its exceptional fire, ranges in color from yellow to orange, brown and green. Green is the most valued color in sphene, and the green hues range from chrome green to yellowish-green. The chrome green is the rarest, but the lighter greens will tend to show more fire. 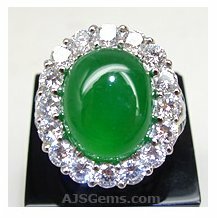 We ship many valuable gemstones around the world, and we insure all shipments for the full value of the contents. If you need to return a gem to us, we pay for the insurance on the return shipment, at no cost to you. Valuable gems should never be shipped without insurance.